Fuad Mansour ... is a managing Partner at John Hancock Financial Network San Francisco Bay Area. He is married to Maha Mansour. 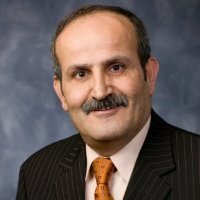 In 1992 Fuad Mansour, Palestinian activist, San Carlos, California, endorsed the Committees of Correspondence national conference Conference on Perspectives for Democracy and Socialism in the 90s held at Berkeley California July 17-19. This page was last modified on 14 July 2016, at 21:41.